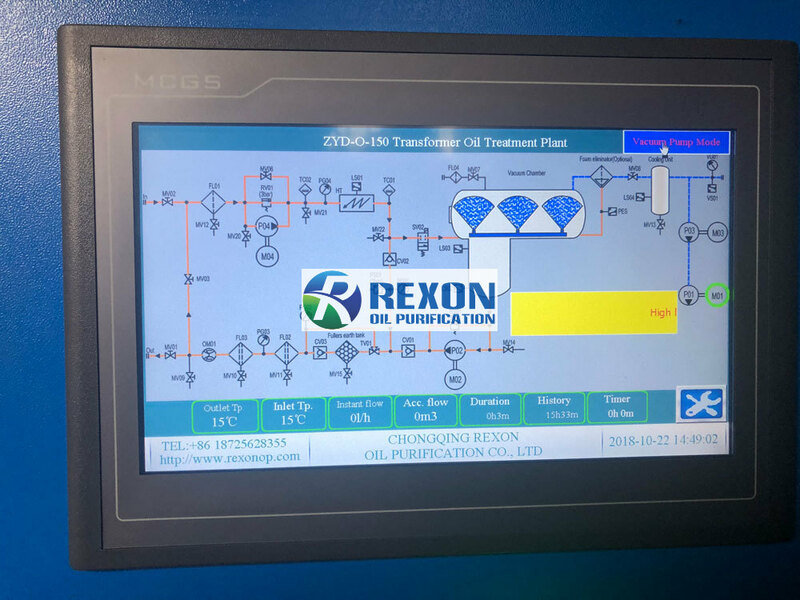 With technology development fast, most of our REXON oil purification machines take advanced PLC automatic operation and control system, which has been researched and developed by our strong technical team. A qualified and full technical PLC system should contact most operation aspects for an oil purification machine. For example, the PLC system can control the machine’s auto working, oil delivery system, oil inlet and outlet flowing balance, various sensors, detecting system, monitoring system, controlling system, alarming system, protection system, etc. Firstly, PLC engineer should consider all these aspects into the PLC programming, secondly, all these data should be detected and transferred precisely to the panel, then operator can see every detail clearly and easily. To achieve a successful and mature PLC controlling and operating system, which is reliable, easy understood, easy operation is the first and main task of REXON engineers. And with the honor, we did it. Welcome to contact us for more information, we are focusing on oil purification, and it’s auto operation.